College Ten recognizes the importance of providing opportunities for our students to shape their environment and develop leadership skills. Student-driven groups, advised and supported by staff, have a primary role in planning and programming student activities. Find the group that is right for you and explore social justice and community, contribute to your community, and develop leadership skills! Download the College Ten Groups Flyer. 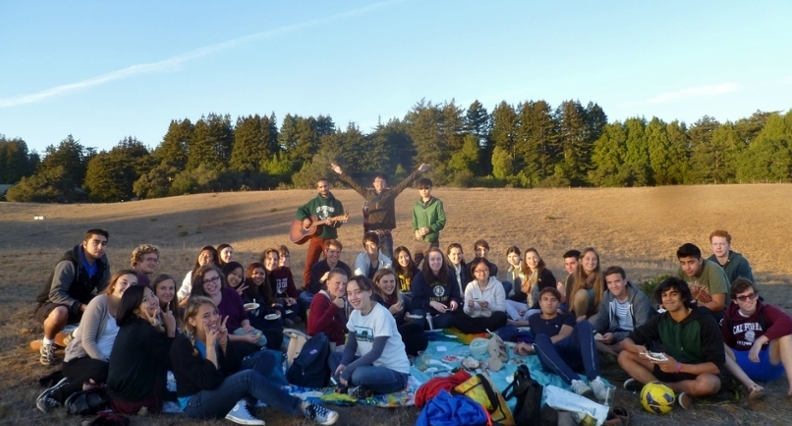 ENGAGE, the College Ten leadership program, meets weekly in fall quarter offering students an opportunity to find friendship and community, develop their leadership skills, explore social justice, and complete a group project in the community. The community garden class and group allows students to engage in a collaborative design process, learn hands-on skills and community gardening best practices, coordinate garden work days, strategize outreach, and build regenerative social and ecological systems. Twice-monthly gatherings and other opportunities for celebrating and strengthening queer community at College Nine and College Ten. Open to all LGBTQ students and allies. CREATE offers a community and home at College Nine and College Ten for students of color to find support and empowerment through mentorship and friendship. CREATE also hosts educational, political, and social programs throughout the academic year. PRAXIS is an organization geared toward community building and social justice in our local community. By participating in PRAXIS events, students gain exposure to a variety of Santa Cruz community organizations, meet a diversity of people, and explore what it means to be agents of social change. Student Government is the college's governing body. It appoints students to campus and college-wide committees, advises college administration on policy development, and provides monetary support to student organizations. This weekend retreat is for students who want to gain leadership skills and deepen their awareness of our theme of Social Justice and Community through interactive exercises and small group discussions facilitated by College Ten staff and student leaders. Application: Due Tuesday, November 27th, 2018. Pick up a paper application in The CoCo. The Practical Activism Conference is a daylong, student-led, conference with speakers, organizations, and hands-on activism sessions. The conference is planned by a group of dedicated College Nine, College Ten, and Oakes College students.For more information about the conference visit the Practical Activism Conference website. If you are interested in becoming a planner, contact Wendy Baxter or attend an Info Session in Spring.